Spread your charm with this beautiful arrangement on your loved ones. 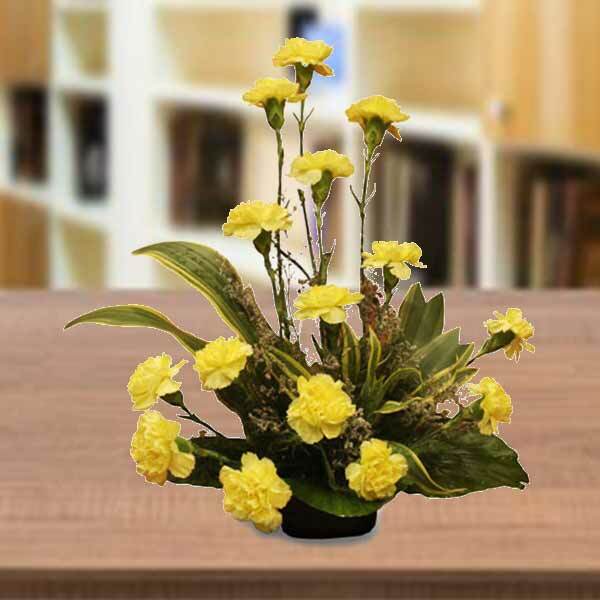 This beautiful arrangement includes 15 bright and bold yellow carnations, arica palms and lots of seasonal fillers. Gift it today! !